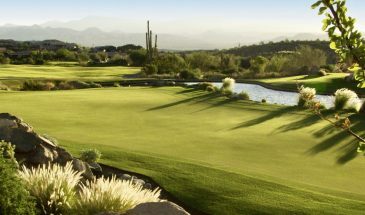 Scottsdale, Arizona is fast becoming one of the premier golfing destinations in the USA. 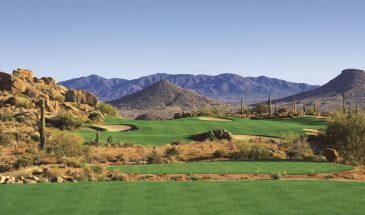 Situated in the north east part of Phoenix, just 20 minutes from Phoenix Sky Harbor Airport, it is easy to get to and offers a golf experience like no other. The area of Scottsdale itself is quite unique. Everywhere looks like it was built yesterday, everything is spotlessly clean, beautifully designed and symbols of Native American culture and artwork are everywhere, even the bus stops are a work of art! 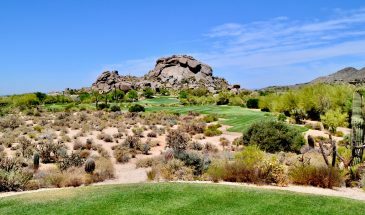 If you have not played desert golf then you are in for a treat in the Sonoran Desert of Arizona. 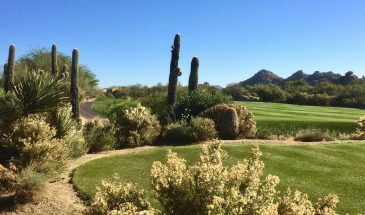 There are any number of golf courses in the Phoenix area generally but we have based our packages around the Scottsdale area. 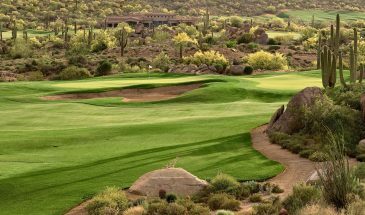 Most of the best desert courses are situated just north or east of Scottsdale but there are many great courses scattered all around the Phoenix area. We offer a range of accommodation options in the Scottsdale area affordable 1 and 2 room suites at Hyatt House in Old Town Scottsdale. The ever popular Embassy Suites Scottsdale. Our portfolio also includes upscale spa resorts from the likes of Marriott, Westin, Fairmont and Hyatt Regency Scottsdale. We also offer Copperwynd Resort, a boutique style spa hotel set high overlooking Fountain Hills with breathtaking views of the nearby mountain range. Finally, there is the spectacular Boulders Spa & Golf Resort from the Hilton Curio collection. Arizona is known for it’s spectacular locations. The Grand Canyon. The Red Rocks of Sedona. The beautiful yet rugged Sonoran Desert. Situated in the heart of the Sonoran Desert, Scottsdale Arizona is a wonderful fusion of modern architecture and South West art and iconography. Scottsdale is quite unique. Everywhere looks like it was built yesterday, spotlessly clean, beautifully designed and symbols of Native American culture and artwork are everywhere, even the bus stops are a work of art! There are plenty of attractions in the area including the Desert Botanical Gardens, Taliesin West, the winter home of Frank Lloyd Wright, numerous desert trails, jeep tours and balloon rides. If you fancy a day out then Sedona, just two hours or less north, is an absolute must visit. 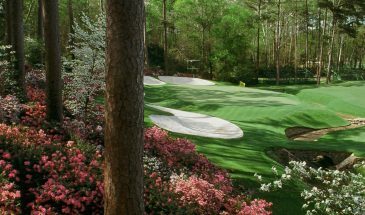 Whether you are looking to play some golf or do some sightseeing, there are few better places to visit. Sedona Golf Club overlooks the famous red rocks of Sedona while there are several ancient Native American sites for those looking for some history. We can also arrange for an overnight, or even a few nights extension, staying at the Hilton Sedona Resort. See our Sedona page for more information. Drive on past Sedona another couple of hours and you come to an attraction that needs little introduction. A 3-4 hour drive makes for a long day trip to the Grand Canyon but we can offer accommodation in the area if you want an overnight or short stay. Find out more on our Grand Canyon page. This unique desert landscape is recognisable for the profusion of the iconic Saguaro cactus which grows nowhere else in the world. You can explore the Sonoran desert from your base in Scottsdale with the help of one of the activity specialists. Jeep tours, hiking trails and even hot air balloon rides provide access to this wonderful location. Visit our Arizona attractions page for more details. Seasons in Arizona are very different from our East Coast destinations. The cheapest time to travel is the summer but be prepared for intense heat, morning, noon and night. 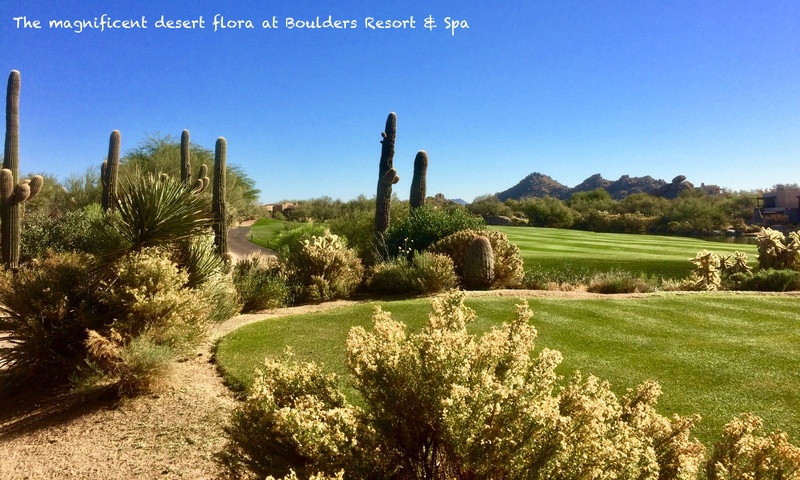 Although it is a dry heat it can be extreme, well above 100 degrees F. That said if you don’t mind the heat you can get a bargain because rates for both golf and accommodation are way down low. The busiest and most expensive time of year is January thru March. There is a lot going on in the Phoenix area so hotel rooms are at a premium and rates are high. 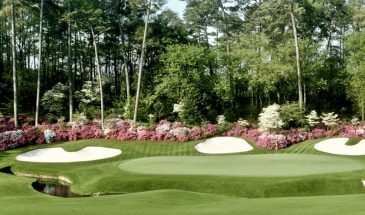 Rates start to come down in April so this is really the beginning of golf season for most of our UK travellers and rates get progressively cheaper as you move into May and June. 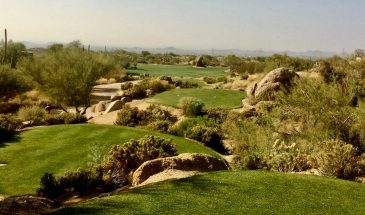 The autumn season sees moderate rates and good weather however it is a bit of a crazy time for golf in the Scottsdale area. Due to unique circumstances dictated by the climate, the courses close for 2 weeks for overseeding. 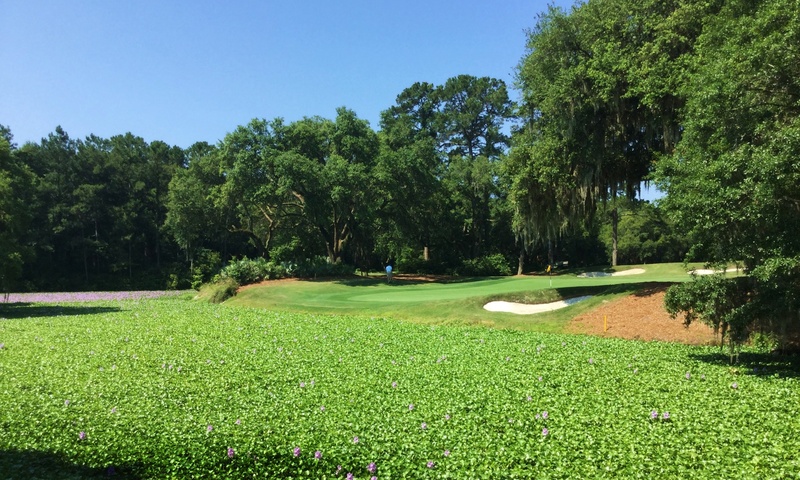 Once they re-open, they are usually cart paths only for around three weeks to protect the new growth. What this means is, arranging a trip in September, October and the first part of November requires some flexibility and patience. Many of the top courses have 36 holes so this helps. If one course is closed, the other will be open but be prepared to be flexible. This leaves us with the second half of November through into December which is a pretty good time to go. The rates are not as high as Jan thru March and the weather is fine, cool morning but getting up to around 75 F most days. Great weather for golf. If you would like a quote or just want some additional information or advice please contact us. We spend almost half our time in the US, a lot of the time travelling which is why we do not publish a phone number. We therefore prefer that you contact us via email but if you wish to speak by phone then please give us a time and a number and we will call you.